"Grimm: Dark Legacy" - Multiplayer PC-game Prequel to NBC's "Grimm"
Well hello there Grimmsters! I recently wrote a post about "Grimm: Dark Legacy" on Grimm Fan, as I co-publish on the fan site. So if you're a fan of the show, definitely head over there and explore the site! I dug up some new information about the PC game, so I thought I would share it with you guys on here. Before we begin however, I would like to remind all of you of the low live views NBC's Grimm has been receiving - every view counts! So if you have access, please watch the episode the day it comes out on the NBC channel! Grimm's future could depend on it! The show is lucky, that it has such a immense fan base (this was the main reason for a Season 5 renewal), but we still need to make sure it will survive further seasons! Show some support! "Grimm:Dark Legacy" is a MMO (massively multiplayer online), which is currently in development by Artplant. There will be no single-player mode available. Beta sign-ups are already open on the official website (click here to visit) and the game will be launched mid-2016. The game will be free and is mainly a survival game, also featuring "tactical survival combat", cooperative multiplayer experiences, exploration and missions. The game will be set centuries before the TV-show's setting, but is still heavily based on NBC's Grimm. 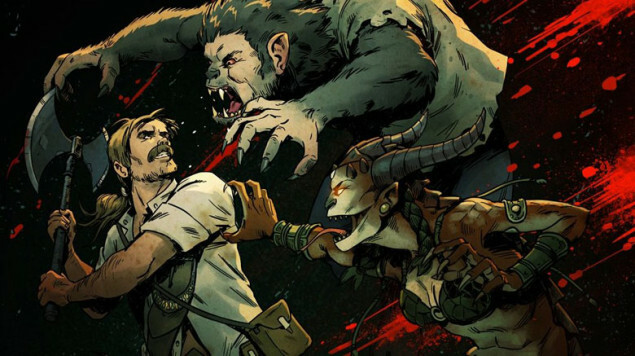 In the game, players will be Grimms and will be encouraged to explore the ancient world while completing missions (to receive awards), fighting Wesen and trying to stay alive. Players will also have several options regarding weapons and abilities. As for now, no screenshots or gameplay videos have been released. Stay tuned for more information regarding Grimm!